Think of citations like online phone books. They contain large lists of organized businesses in different industries. While the primary directories you may already be familiar with: Yelp, Trip Advisor, YellowPages.com; there are hundreds of additional, smaller directory sites that can create name recognition and backlinks for search engines. We’ve worked with hundreds of businesses on citation building and know what it takes to be successful in this niche. We have a team in place to create citations quickly and efficiently for your business. Once this service is completed, we return an organized report of which citations were completed as well as applicable logins for you to edit them should you need to. Citations can cause extreme rank increases for local business websites across search engines. This will depend on the business but it typically includes: business name, website, phone number, general email, business address, and logo. What are photo and video citations? Photo and video citations are done on popular video and photo sharing websites. We’ll create your profile and upload photos & videos that support your business. This, of course, all links back to your website. Your Google Business profile holds critical information about your business. This information shows up in Google Maps on mobile and desktop devices. This includes your business name, phone number, website address, open hours, photos, descriptions and more. There’s lots of other information you can also include on your Google Business profile such as blog posts, upcoming events, specials, services, and more. It’s a lot to keep updated! Our Google Business profile management is an ongoing monthly fee that takes the time consuming tasks out of your hands. We’ll manage your profile, alert you of any negative reviews, and post regular updates. All of this shows Google that your business is active which produces better local search ranking. Do I need a Google Business profile to use this service? A Google Business profile is required. If this is part of a monthly SEO plan we’ll set you up a Google Business profile for free if it does not already exist. If this is purchased as a stand-alone item the Google Business profile setup is a one-time $199 fee. Location landing pages can be a game changer for businesses that provide services outside of their immediate area. For example, contractors that work in surrounding cities or lawyers that have multiple offices. When your base on-page SEO work is done fore your website, it likely focused on your primary location. With location focused landing pages, we create specialized pages that are written and optimized to rank for specific locations. Our team of U.S. based writers will construct the perfect copy for your landing pages and our designers & developers will create specialized templates to host this content. All we need from you is a list of cities or towns you would like to target. We need your website URL and a list of locations you would like to target. We take care of the rest including research and writing. The core of search engine optimization lies in link building. That is, getting third-party websites to link back to your website. Every link back creates a vote of authority for your website which can drive up your ranking. High-quality blog content crafted by U.S. writers for your business. We take the stress out of blog & content generation. OnPage SEO work performed on the code of your website to optimize it for search engine reading and indexing. OnPage SEO work should be performed prior to beginning any other online marketing campaign. Your online business reputation can make or break your long-term success. Proactively request customer reviews automatically with Arrivala. Grow your business reviews on Google, Yelp, Trip Advisor, Facebook & 20+ other review websites. Press release distribution is a time-tested, quality, white-hat SEO approach that can have exceptional effects on your search ranking. 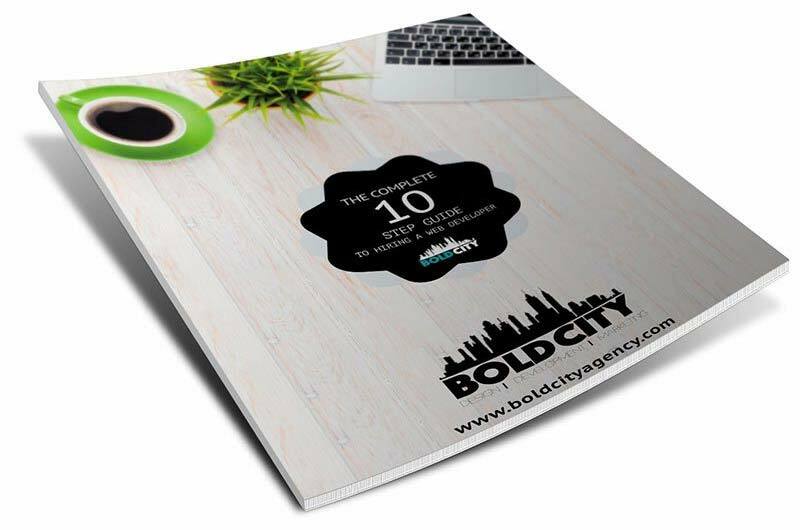 Bold City has services available that handle the writing & distribution of such releases to over 100 media outlets. Social media can be a massive marketing channel for your business. At the same time, keeping up with multiple profiles, regular posting, updating business, hours, phone numbers, profile pictures, can quickly get out of control. We can help with that.